Construction workers guide the 800 pound UB logo upward from a trailer bed with lifting straps and the cable from a large crane. The UB logo will be backlit, and connects to the side of the new Jacobs School of Medicine and Biomedical sciences using custom-engineered knife plates. Construction workers connect the UB logo to the side of the new Jacobs School of Medicine and Biomedical Sciences. Construction workers guide the UB logo in to postition on the side of the new Jacobs School of Medicine and Biomedical Sciences. Yet another mark of the University at Buffalo’s expansion into the downtown medical corridor went on display Wednesday with the installation of its logo on the new Main Street medical school building. With the hands of construction workers, the power of a crane, and a few strong lifting straps, the University at Buffalo’s bright blue logo was hoisted 140 feet up the side of new Jacobs School of Medicine and Biomedical Sciences on Main Street. University at Buffalo Project Manager Jennifer Kuhn, described the installation of the sign as “a pinnacle moment in the construction” of the new medical school, which is set to open this October, on par with its planned $375 million price tag. That’s when medical school faculty, staff, and students currently working on UB’s South Campus will make the move downtown. Dusel and his team worked with Grand Island-based ASI Signage during an eight month planning process. ASI Owner and President Bethany Bernatovicz said nothing about the design of the nearly 83 inch tall, 161.25 inch wide, 6.5 inch deep aluminum sign was standard. The fabrication at ASI took approximately six weeks to complete and, according to Bernatovicz, it’s made to last. Photo from UB Twitter page. 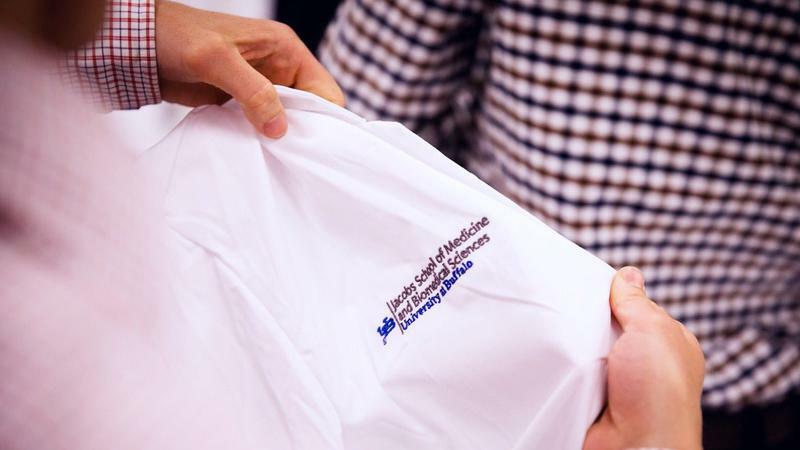 The University at Buffalo has welcomed its largest-ever medical school class for a new semester. WBFO's senior reporter Eileen Buckley says UB is calling this a "milestone". WBFO's senior reporter Eileen Buckley says UB is welcoming it's largest-ever medical school class. 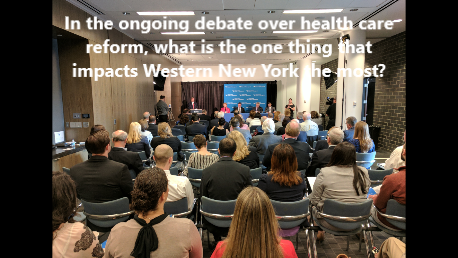 In the ongoing debate over health care reform, what is the one thing that impacts Western New York the most? What will the local health care industry look like a year from now? The experts weigh in. 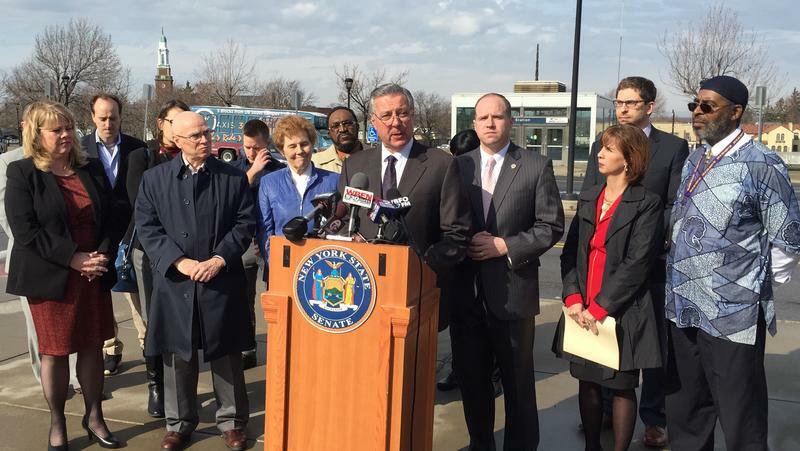 Local leaders in the medical community are keeping a watchful eye on state budget negotiations – particularly, approval of Governor Cuomo’s pitch for phase two of the Buffalo Billion initiative. The University at Buffalo's new downtown medical school will be named after the Jacobs family. 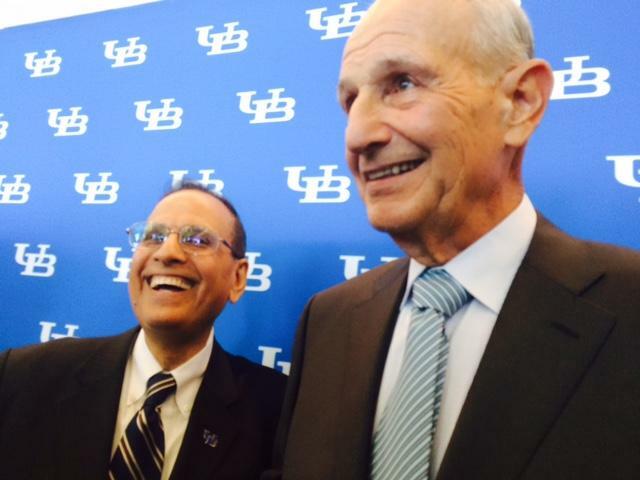 Jeremy Jacobs on Monday delivered a $30 million gift to UB. WBFO's Eileen Buckley reports on the naming of UB's downtown medical school.